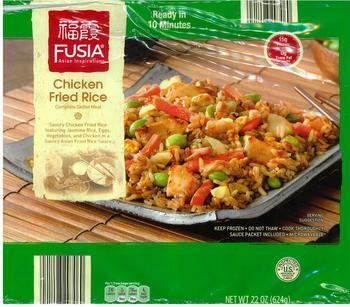 Choice Canning Company of Pittston, Pa., is recalling approximately 35,459 pounds of chicken fried rice. The recalled products, bearing establishment number “P-45217” inside the USDA mark of inspection, were shipped to retail locations in California, Connecticut, Florida, Georgia, Minnesota, New York, Pennsylvania, Texas and Virginia. Customers who purchased the recalled products should not consume them, but discard them or returned them to the place of purchase. Consumers with questions about the recall may call Frank Joyce at (570) 569-2662.